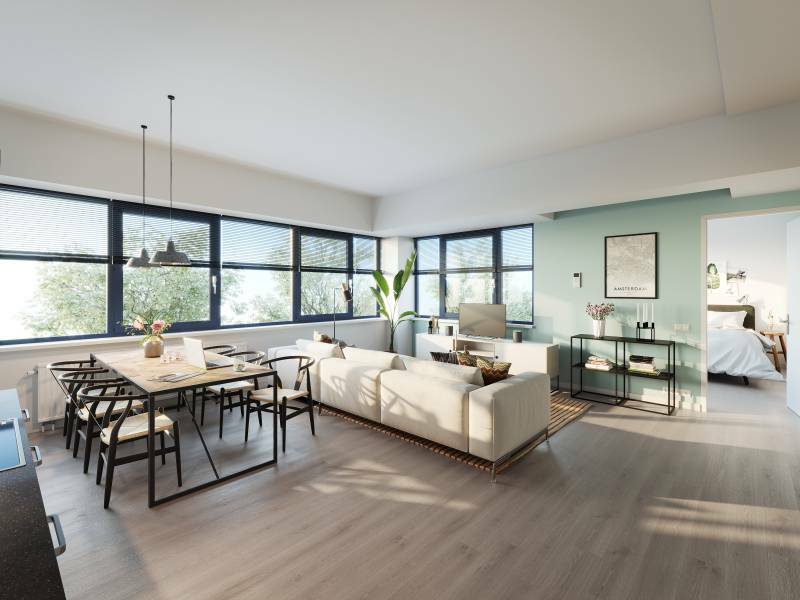 Newly renovated apartments in the transformation project The Scorpio in Capelle aan den IJssel for rent! 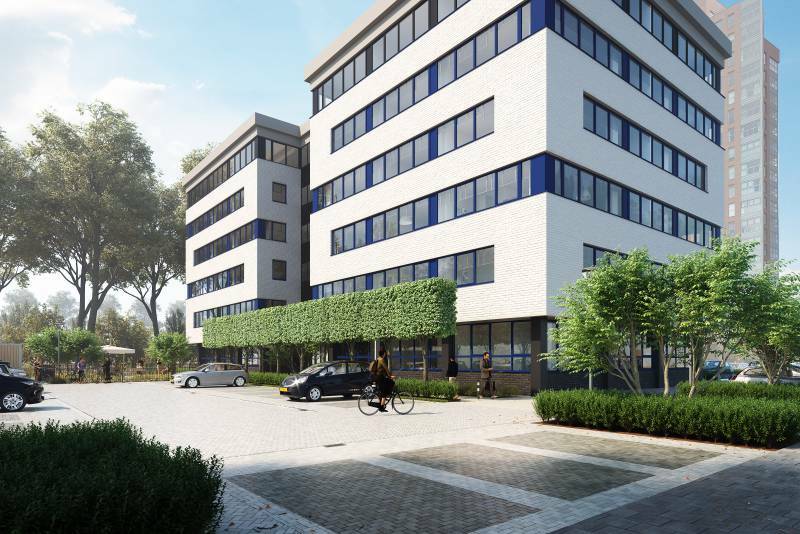 The complex of 72 apartments is located at the Wormerhoek with shops and restaurants on your doorstep, the park Hitlandbos as a backyard and next to the road N219 for a fast connection to the highway. The shopping centre and metro station De Terp are a 3-minute bike ride away. With the metro you can reach the heart of Rotterdam within 20 minutes and the Erasmus University within 15 minutes. This apartment type is a loft of 54m2 and corner apartment, located on floors 1 to 5. 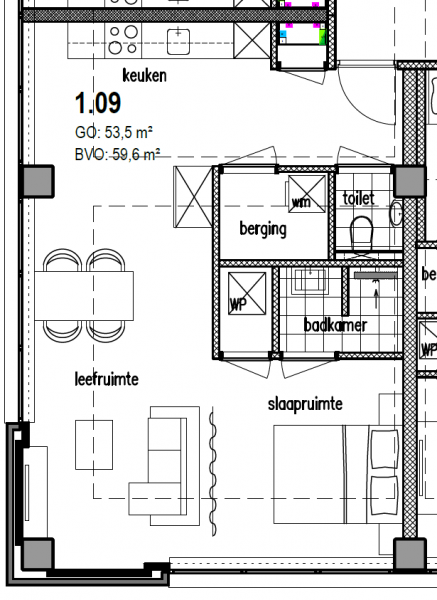 - Loft-like apartment where the sleeping area is easy to separate from the living area. 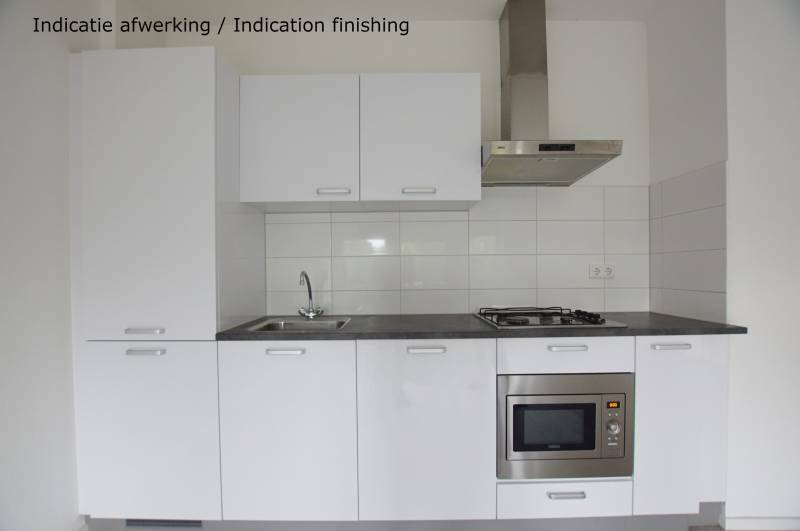 - Modern kitchen with combi-microwave, fridge/freezer, 4 pit stove and hood as well as the possibility to place a dishwasher. 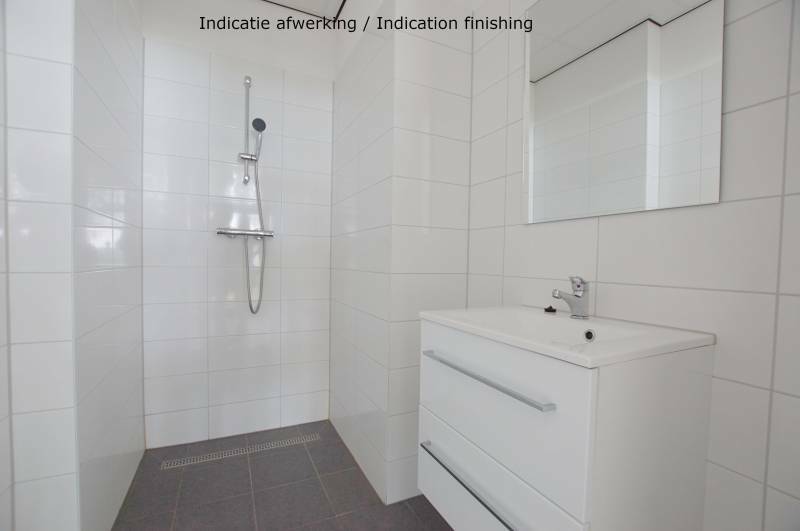 - Bathroom with walk-in shower and washbasin. - Internal storage with washing machine and dryer. 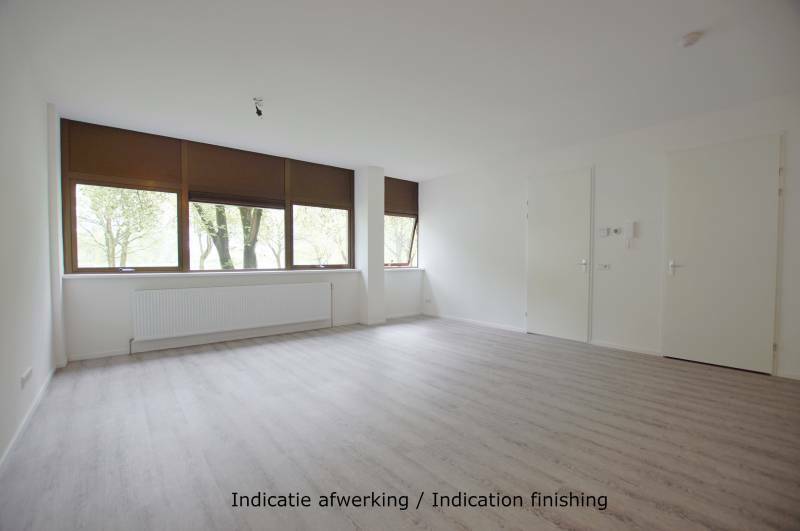 - High-quality finish with luxurious PVC floor with wood pattern and white walls and ceilings. - The apartment will have an energy label A or better. 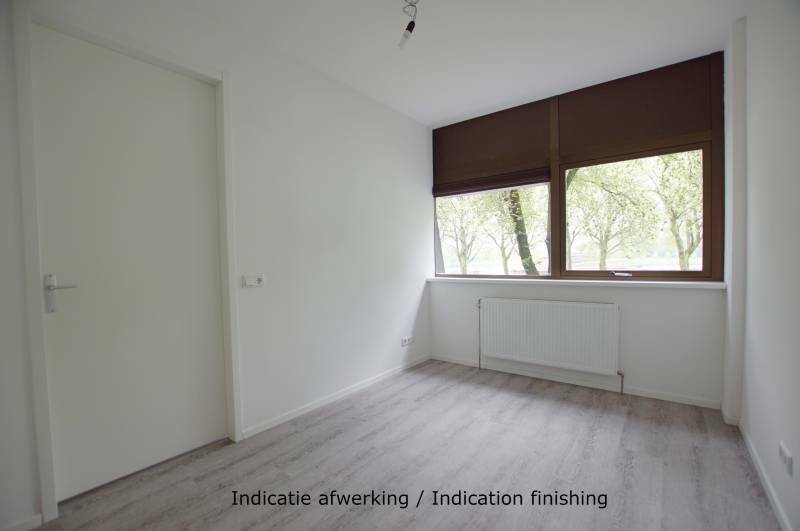 - The indication photos are of another transformation project of the same developer in Rotterdam and give a good impression of the finishing. - 72 apartments of 35-70m2 with rental prices from € 651,36 to € 899,00. 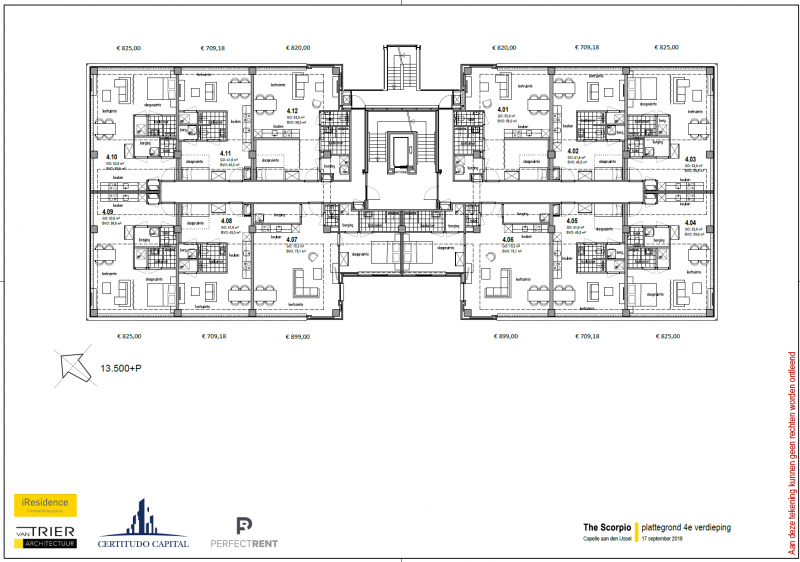 See a complete rental list and floorplans in the photos. 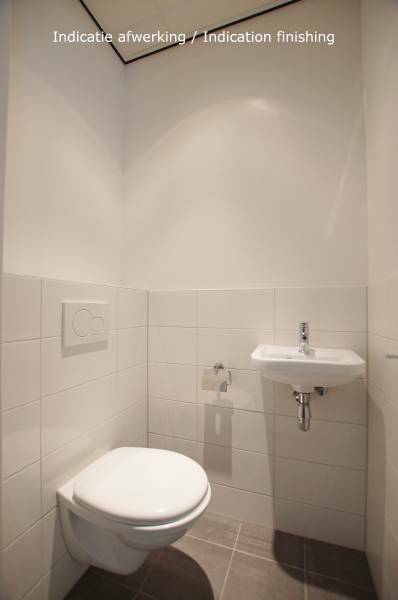 - General areas are well cared for and regularly cleaned. - Rented out to (serious) students, young professionals and employed. - Shared terrace on the terrain. 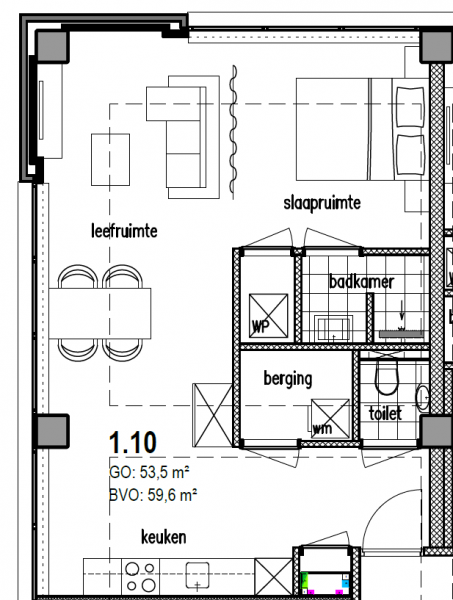 - The monthly basic rent is € 825,-. The service costs (for example for upholstery and cleaning of general areas) amount to € 69,-. The cost of a parking space is € 40, - per month. The costs for utilities, internet/TV and local taxes are on the account of the tenant and are not included in the rent. - The deposit equals the basic rent. 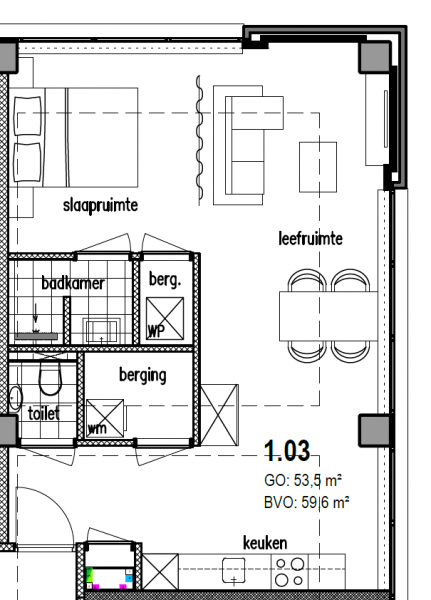 - Habitation is possible for a maximum of 2 people. - The minimum rental period is equal to 12 months. - Pets are allowed in consultation. 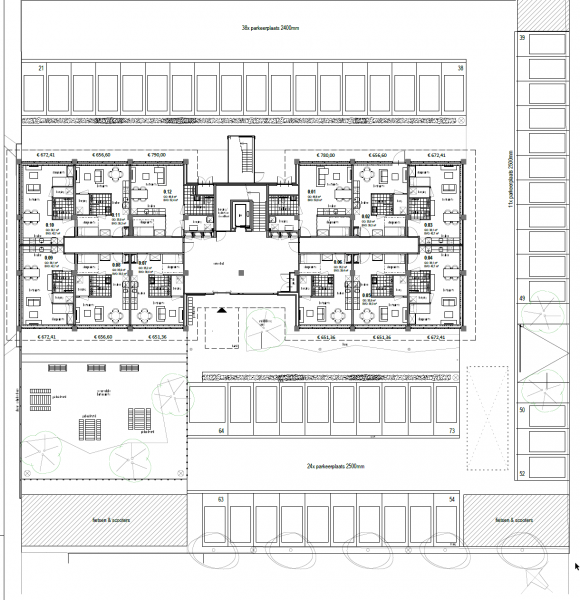 - Habitation is possible for students (but with guarantor). - The complex is due for delivery in December 2019. It is possible to already sign a rental agreement and in that way reserve your apartment definitively. 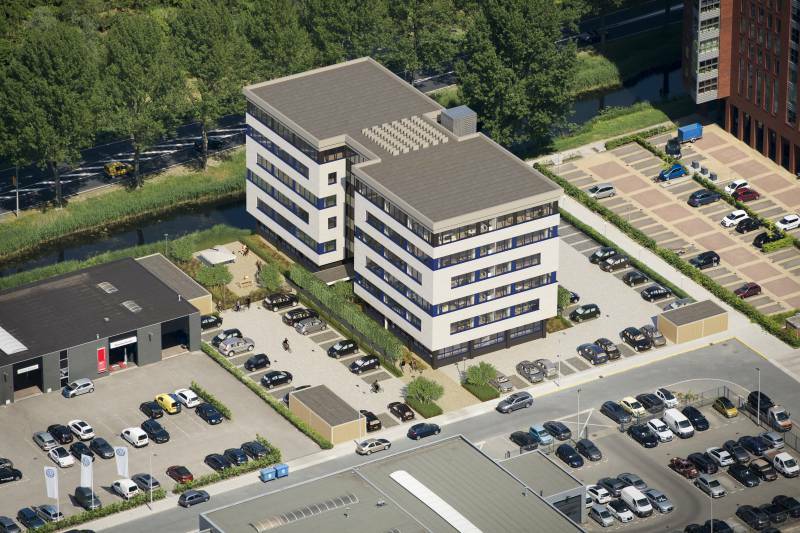 The Scorpio is located at Wormerhoek 14 in Capelle aan den IJssel. An ideal base for wherever you want to go. Right next to The Scorpio is the N219 bypass, which will take you to the A16 or A20 highway in no time. You can also quickly reach your destination by bus, tram or metro. Metro station De Terp is a 3 minute bike ride away. From there you are in the centre of Rotterdam in a matter of minutes. By the way, for your daily shopping you do not need a car or public transport at all. Shops and a supermarket are within walking distance of The Scorpio. Slightly further to the south is De Terp. A spacious and indoor shopping center, with an extensive range of shops and restaurants. 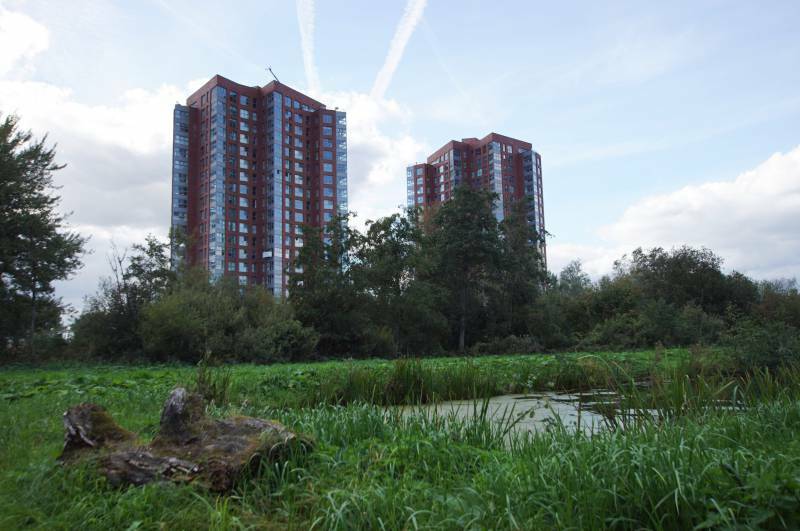 Capelle aan den IJssel has been the greenest city in the Netherlands since 2016. And you will notice that as a resident of The Scorpio. 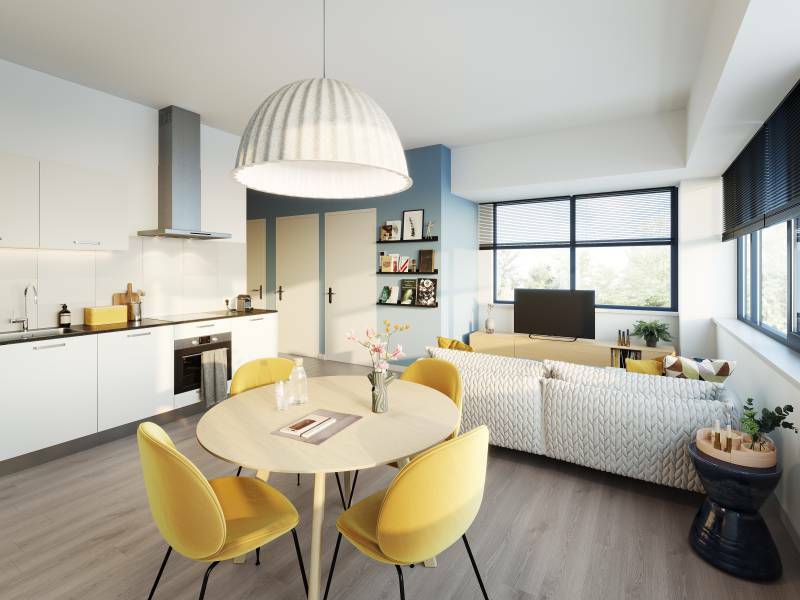 The property is next to nature reserve Hitland, with multiple cycling and walking routes. Canoeing in the summer, skating in the winter: in Hitland you can leave the hectic everyday life behind you. 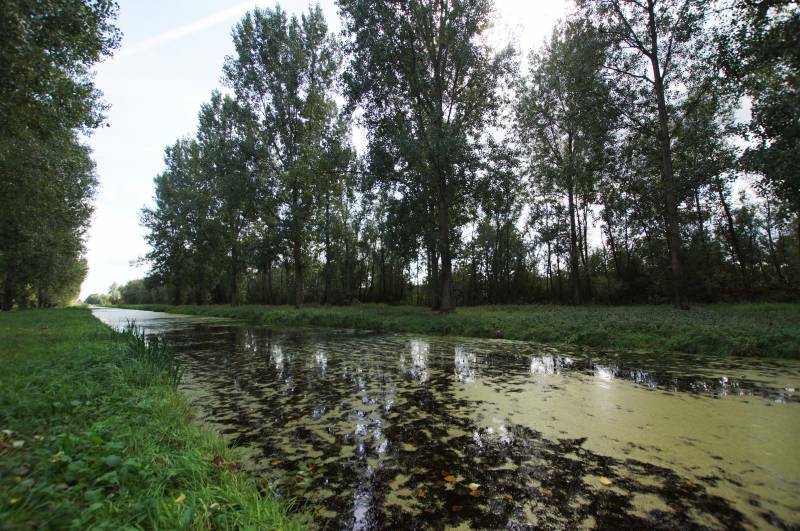 The combination of space and greenery can also be experienced at other locations in Capelle aan den IJssel. For example, in city park Schollebos, which is a stone's throw away from The Scorpio. Or a bit further south, for cycling and walking tours along the river Hollandsche IJssel. Peace, space and nature? You have it all in Capelle aan den IJssel! 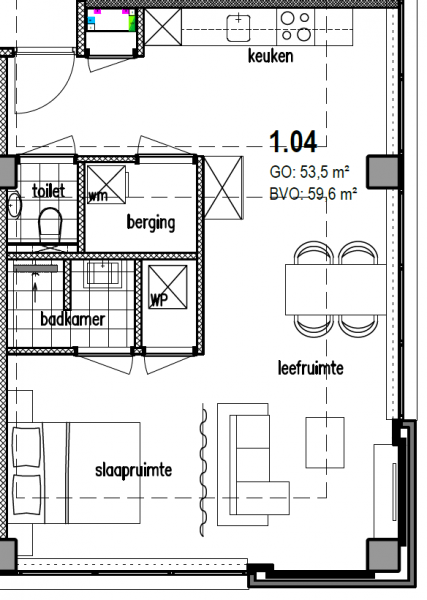 If you are interested you should register on www.perfectrent.nl (for free). Then you can show your interest by sending an email to scorpio@perfectrent.nl. Any questions or preference for a construction number can be passed on immediately. 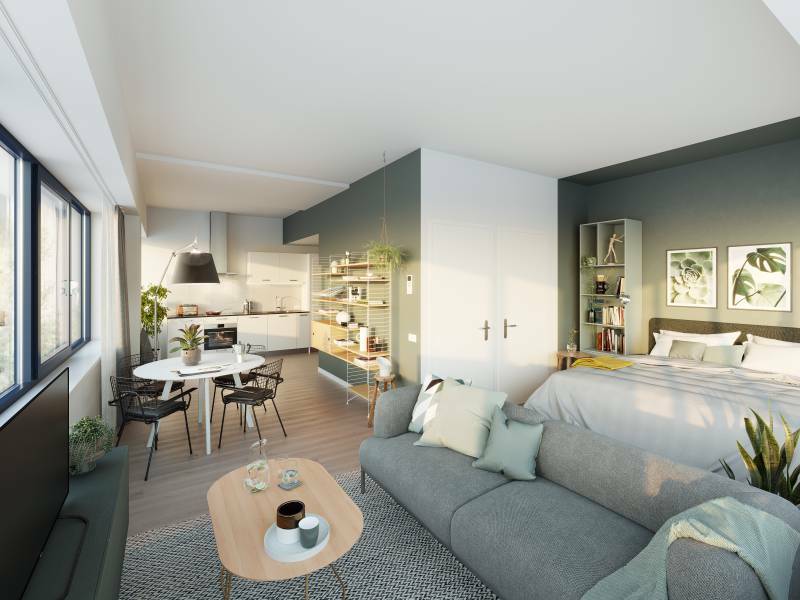 After answering all your questions, we will give you an option on the desired apartment and you must submit your personal documents to be approved.